Argos Hill windmill is a Grade 2* listed building dating from 1835. It is located on top of Argos Hill, near Mayfield, Sussex, and is one of only 50 post mills remaining in England. It is a fine example of the Sussex tradition in millwrighting and is a landmark for miles around. The mill open days for 2019 are listed HERE. A virtual tour of the mill can be accessed HERE. The mill ceased working commercially in 1923 and in recent years had been left to deteriorate. 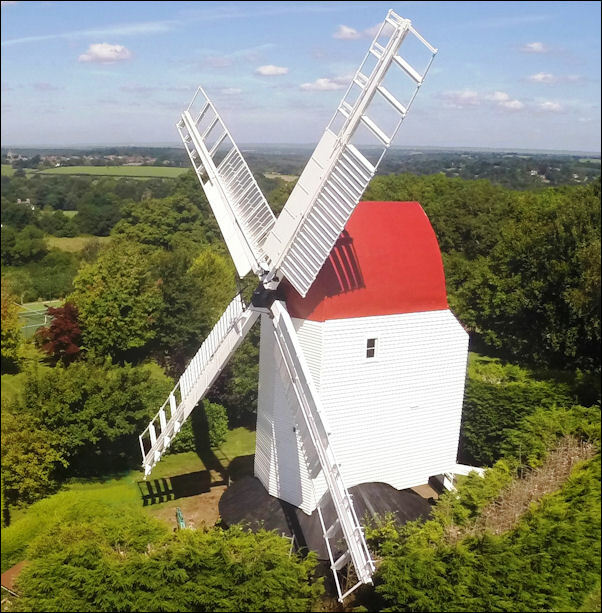 Argos Hill Windmill Trust Ltd was formed in 2010 and took responsibility for the mill by leasing it from Wealden District Council. A high-profile fundraising campaign was launched in 2011 to raise funds for the mill's restoration. The first two phases of the restoration project were successfully completed in 2016 when the mill's sweeps turned in the wind for the first time in over 80 years. Phase 3 of the restoration project is now underway.